Welcome to the We Like Shooting show, Episode 61. This week we’ll talk about the Tavor, SoCo Kydex, 45 caliber AR, Winchester Gunsmith set, Marlin Model 60, Lucid optics and the shock knife. Includes rifles, Non-Lethal Training Ammunition, and all required safety gear. Additional requirements: Pants with belt. Jeremy - I love sailor moon! We don’t just love our patreons, we love everyone who’s listening. As such, we are giving away a Tokarev, courtesy of reddit user r_shackleford! 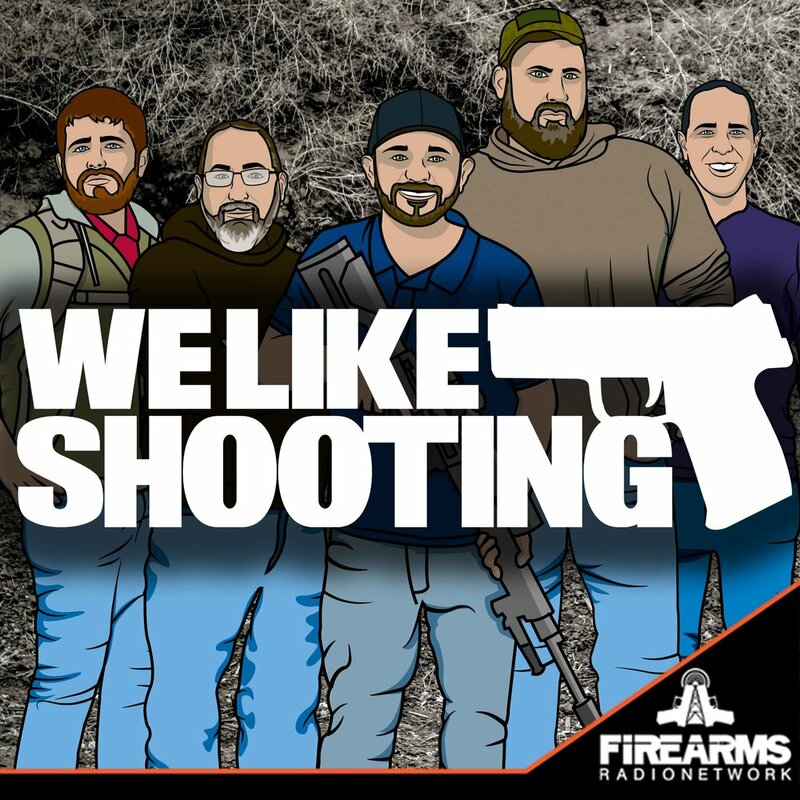 All you have to do is send a we like shooting related picture to feedback@welikeshootingpodcast.com. We’ve been posting them on Facebook and the entries are awesome! In 2014, they have introduced over 1700 ladies to the world of firearms! love the show one of my highlights to my week will turn to a 5 star when savage finaly does a review on the halo red dot. "I enjoyed hearing everyone's stories on this episode, so I wanted to share mine real quick as well. I grew up in an anti-gun household and one of my first memories was having an airsoft pistol I bought at the flea market confiscated by my mom. Some time later she finally relented a little and allowed me to try shooting guns only because she trusted our neighbor who I think did some instructing. He was an Army Ranger in Vietnam and was an overall badass, so I was pretty excited. My first experience was humbling, because before we went over all the rules and stuff he let me handle the unloaded pistol to "see how it felt" and then proceeded to point out how wrong I was (finger on trigger etc). I felt bad for failing the test, but the lesson stuck. When we finally went to the range I had a similar experience to Shaun where the first gun was a compact glock in .40, and decided from then on never to shoot one again. My first gun was a CZ P07 that I bought as a 21st birthday present to myself. By this time I had become an avid enthusiast through forums and youtube. I used to thing the new CZ was the ugliest thing ever but when I actually held one, it felt so good it started to grow on me, and plus, I didn't want a boring glock like everyone else. Best experience was probably in college, I was a member of a firearm rights and awareness club set up by the law students, and we held range days to welcome new shooters. I got to try all sorts of guns that members brought, like a garand, an ak, ars, revolvers, even a little mouse gun in .25 (which btw was the scariest of them all). They even brought old law textbooks to shoot at and we were able to recover some of the bullets. Another favorite experience was taking my GF to the range for a date, and her loving it and shooting better than me even. She also got some nice hot brass down the shirt but was a trooper about it. Worst experience? IDK I don't think I've had any. I guess the one would be earlier this year when I took my first centerfire rifle to the range. It was one of those surplus Spanish Fr-8 mausers in .308. It looked in great condition but after a box of ammo or so I noticed the brass didn't look so good, and I knew just enough to realize I had probably gotten a bad one. A lot of headaches later I finally worked it out, but it was still a sucky experience. Keep up the good work on the show! " YGHQ - Hello, this is you guys on driving, fuel truck and You're going to have some more on file. A window their time. Yes, shoot straight. MIZR- Hey, This is Dave active of Warren Grady, if you were missing it but signage garlic box. But I just wanted to say go waiting. Shawn that way I can not get out. JKTI- Hey guys, This is an girl. Sorry. This is Josh in Pittsburgh, Pennsylvania. I just recently started listening and I really enjoy the show it. Sounds like me and my friends and around this You know regarding each other and Talking about gone, so it's it's really good listener that work on it, pretend to punch the keys on my keyboard. Your question I have. I'm looking for a bold action. 308 rifle. I'm looking for something. 4 hiding in a little bit of target shooting something with more of a You know I tactical seem to it all black and most important thing though it is threaded barrel 4 surprise, sir I'll be putting a hey. C. If you'd emailed on it and then a 760 suppressed or so. If any you have any thoughts on that you know if I'm not able. Actually I have an AR guy, trying to just spread out a little bit and diapers. 5. My my tools. So, I'd appreciate any input. Thanks. Thank you. Bye bye reports subsist. We apologize to Colion Noir we just really needed some us time, we’ll try to get him on next week.